In capturing the monotonous tasks carried out daily by his beloved housekeeper/caregiver, Alfonso Cuaron invites us to witness quiet colorless moments that seen in Roma to shine as brightly as a rainbow. 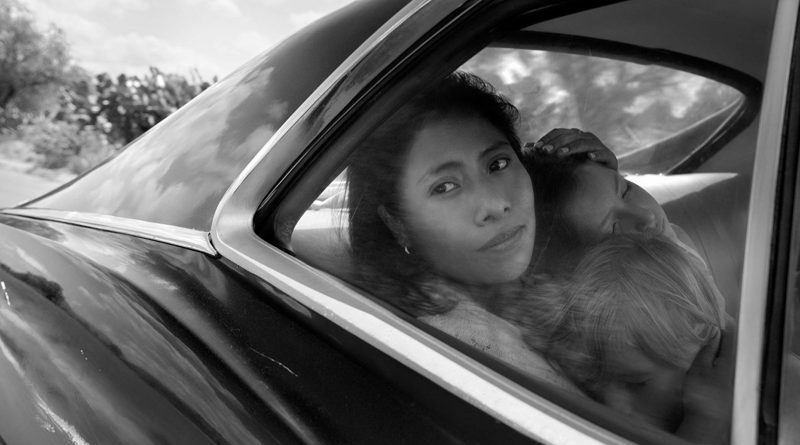 Roma, is nothing short of an artful masterpiece. 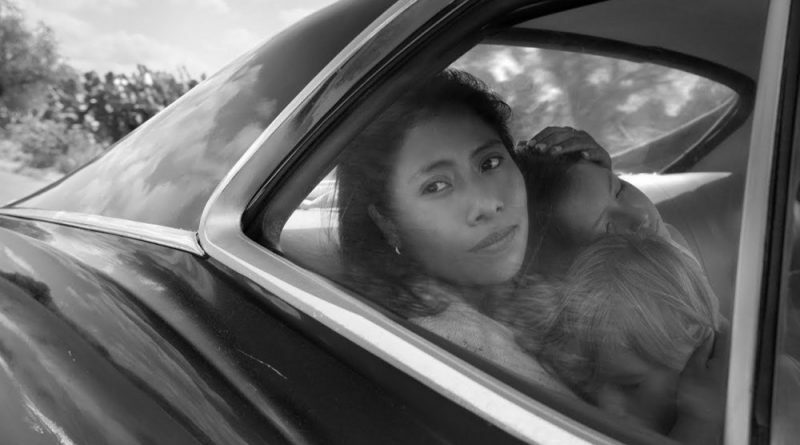 Winner of the AWFJ’s 2018 EDA awards for Best Film and Best Non-English Language Film (as well as Best Director, Best Cinematography, and Best Editing), Alfonso Cuaron’s “Roma” is a lushly filmed, beautifully specific slice-of-life drama that presents its central female characters with love and compassion. The story centers on Cleo (newcomer Yalitza Aparicio), the cook/maid/nanny to an upper middle class family living in Mexico City’s Roma district in the early 1970s. Director Alfonso Cuarón has an impressive filmography, including Y Tu Mamá También, Children of Men, and Gravity, all masterfully executed. 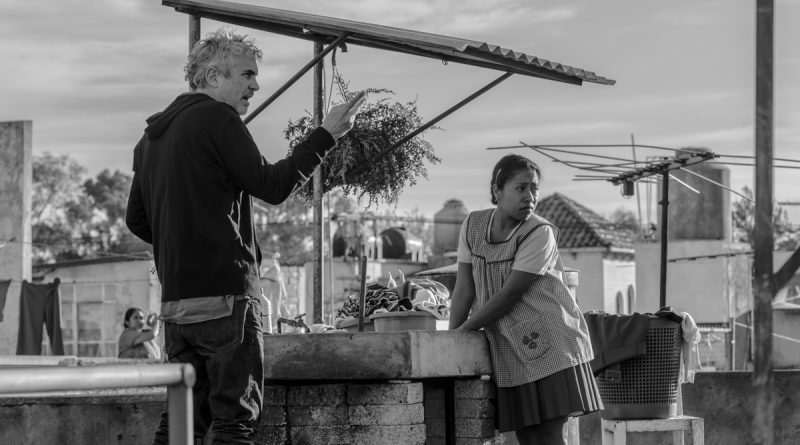 However, Cuarón’s autobiographical new work Roma is his masterpiece for its authoritative presentation of his upper-middle class Mexican upbringing and, especially, his enduring affection for his nanny Libo, called Cleo in the film, from whose perspective his family’s life unfolds. Netflix is enticing Oscar voters by releasing this immersive, black-and-white, semi-autobiographical film from Alfonso Cuaron (Gravity, Children of Men, Harry Potter and the Prisoner of Azkaban) in a few theaters in addition to streaming on December 14th.